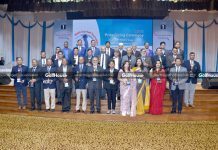 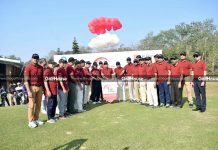 The 15th Unilever Independence Day Golf Tournament 2018 ended through a colorful ceremony at Bhatiary Golf & Country Club on the Independence Day 26th March, 2018. 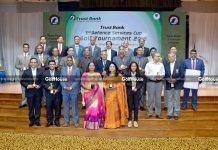 Kazi Aftabur Rahman, among 172 golfers, won the Champion title of the tournament while Lt Col Golam Mortuza grabbed the runner up, Abu Taleb Liton won the 2nd runner up and Mrs Nahid Islam achieved the ladies’ event title. 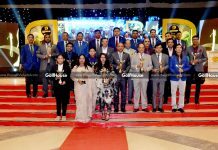 BGCC President Maj Gen Md Jahangir Kabir Talukder distributed the prizes among the winners as the chief guest of the ceremony. 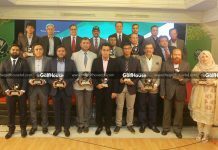 Other prizes were distributed among Arafatul Islam Fahim for best gross, Md Asadul Haque Miah (Retd) for 2nd best gross, Maj Faisal Pasha as nine hole winner, Zahin Ahmed as nine hole runner up, Golam Moinuddin for best front nine, Maj Md Emdadul Islam (Retd) for best back nine, M Shahidul Islam as senior winner, Wahida jasmine as ladies runner up, Master Yasrib as junior winner, Master Md Mafi as junior runner up, Architect A A M Mujahid Baig for longest drive and Maj Md Mokaddes Hossain for nearest to pin. 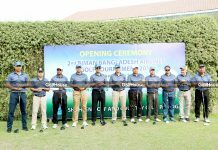 Besides the other participants, Unilever Bangladesh CEO and Managing Director Kedar Lele, The VP (Admin & Finance) of BGCC Brig Gen A F Jaglul Ahmed, BGCC Vice President (Golf Wing) M Salman Ispahani, Vice President (Development) Meah M A Rahim, Golf Captain Liakat Ali Chowdhury, chairman of tournament committee Mr. Fariduddin, other club members, high civil and military officials were present on the occasion with their families.